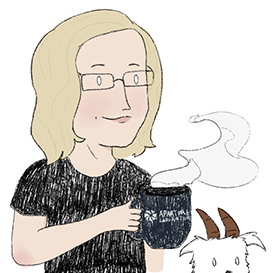 Over the years, I've had the pleasure of speaking with journalists, bloggers, researchers, and fellow fans about Lara Croft, the Tomb Raider series, and gaming in general. I've decided to start collecting these articles and interviews. Here are the ones I've managed to track down. I've archived the ones that are no longer online. The External Links in the sidebar point to other articles where I'm quoted or otherwise contributed. Lara Croft: An LGBT Icon? The weekend after E3 2018, I had a nice chat with my friend Hunter about all the new Shadow of the Tomb Raider information that had just come out. We talked about our likes and dislikes (mostly likes!) and what we hope to see in the upcoming game. Listen on Hunter's YouTube channel. In May 2018 the crew at Survivor Reborn invited me to be a part of their first podcast. The topic, Building Bridges in the Fandom, was inspired by a tweet I posted lamenting the current, divided state of the Tomb Raider community. We talk about some of the causes behind that division and how we can improve things moving forward. Listen on Survivor Reborn's YouTube channel. 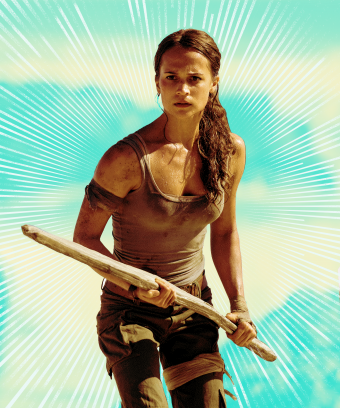 This article was written before the premiere of the Tomb Raider film starring Alicia Vikander. 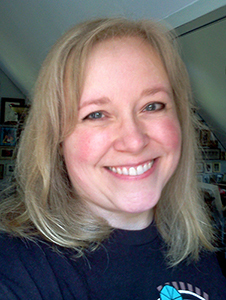 The writer interviewed several TR fans, including Noelle Adams, who writes for Critical Hit, Gamecca, and other outlets; Kelly McGuire from Tomb Raider Horizons; and yours truly. The original interview was pretty far-ranging, but the author tightened the focus to the film's apparent focus on Lara's relationship with her father, a plot point which concerns all of us. The title, "The Very Specific Reason Why Tomb Raider's Women Super Fans Are Worried About The Movie Adaptation," is super clickbaity, but the article itself makes some good points. Since the piece was written before any of us had seen the film, there are no spoilers. 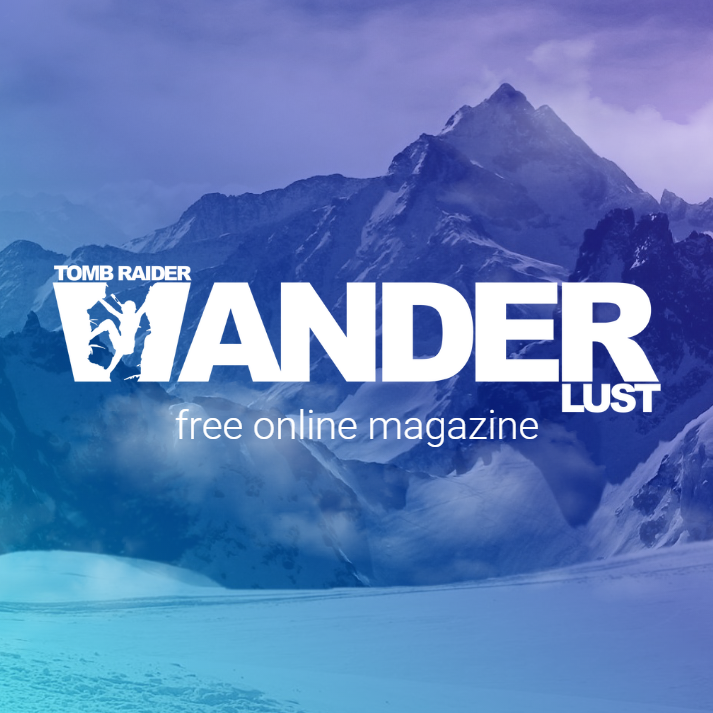 December 2016 saw the launch of a free digital magazine, Tomb Raider Wanderlust, by the creators of the Kronika Tomb Raider fansite. The first edition, titled "In the Shadow of an Icon," was originally released in Czech, but an English language version is now available. My Q&A style interview is just one of many, including chats with TR developers, composers, artists, and other fans. Visit Tomb Raider Wanderlust for more info and links to both the Czech and English magazines. 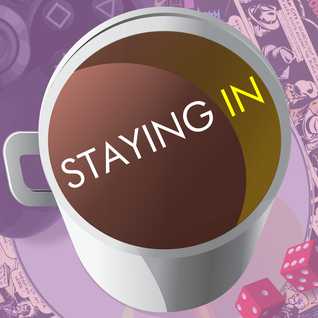 Also in December 2016, I had the great pleasure of chatting with Kris Darby (@digitalstrider) and Sam Turner (@MrSamTurner) on an episode of their Staying In Podcast. Topics included good (and bad) chicken-rearing techniques, marathons (both real and virtual), and of course Tomb Raider. These guys are some of the smartest, most articulate, and most fun gamers I know. I hope you'll check out their show. Listen using the player below or follow this link to download an MP3, or listen via the Podbean app, iTunes, Stitcher, etc. In April 2016, Tom Clement wrote this piece about LGBT+ representation in games and specifically Lara Croft as a queer icon. I was one of several gamers interviewed for the piece. In February 2016, the awesome Jamie Sparks invited me to be the first guest on his new podcast. 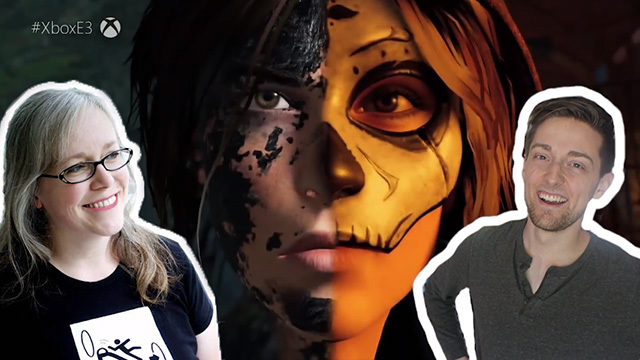 The result is this fun conversation about a few of my favorite things, including Tomb Raider, social media, and Extra Life. The Solid Gold Games Podcast is available on thejamiesparks.com, Soundcloud, and iTunes. Jamie also has a blog in which he discusses all sorts of things from gaming to music to life's ups and downs. Check out this post on Why Lara Croft Should be Your Girlfriend. Some of his reasons may surprise you. Tomb Raider Horizons (formerly The Archaeology of Tomb Raider) runs a great recurring feature called "In the Spotlight," in which TR fans of all kinds share their experiences and opinions about the series. I'm honored to be included in such a great bunch of gamers. So, tell us a little about yourself. I live in upstate New York, about 100 miles north of New York City. I'm in my 40's and married, with a soon-to-be 21-year-old son. I run several walkthrough sites. 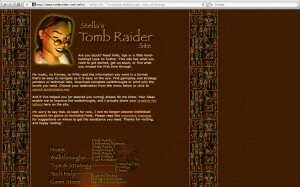 You may be familiar with Stella's Tomb Raider site, though I also have guides for LEGO Indiana Jones and Space Colony. I'm addicted to social media in its myriad forms, and I struggle against my couch-potato nature every blessed day. When and how did you learn about the Tomb Raider series? A couple of years ago, before the most recent Tomb Raider game was released, I had the pleasure of listening to InRaiderSpect, a series of podcasts from the creators of InRetroSpect examining the Tomb Raider series from different angles. The episode that especially resonated for me was "Turning Points," created by Dr. Kris Darby. 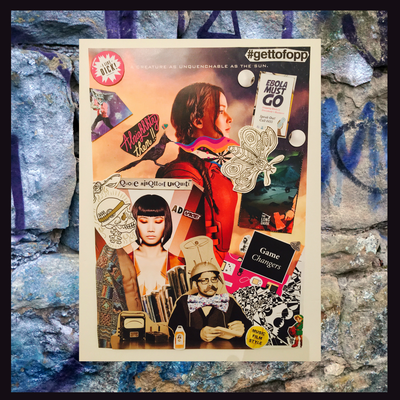 Inspired by the game trailer of the same name, this episode examined Tomb Raider through the lens of psychogeography and grappled with a question that is at the root of the series: to turn back or carry on? Since then, we've all had a chance to play the new Tomb Raider reboot, and the Definitive Edition has just been released for next-gen consoles. To wrap up the InRaiderSpect series, Kris invited me to appear as a guest on the InRaiderSpect Epilogue. We spent about 45 minutes talking about the new game, Tomb Raider's roots, and its possible future. I hope you'll have a listen. The entire InRaiderSpect series can be found on the InRetroSpect Podcast site or downloaded through iTunes. There are also a few post-production notes and corrections on my blog. I hope you'll let us know how you liked the show. If you agree or disagree with our opinions or have other ideas you'd like to add, I encourage you to post a comment below or on the InRaiderSpect Epilogue page. Thanks for listening! 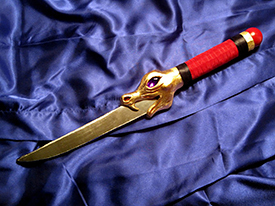 I created this dagger as both a cosplay prop and an entry in Crystal Dynamics' "By Hand" contest, which was held on the Eidos forum in 2012. The dagger itself now belongs to Crystal Dynamics' Senior Community Manager, Meagan Marie. If you want to try making your own, you'll find my step-by-step tutorial on laracroftcosplay.com. By the way, in case anyone is still puzzling over the pronunciation of "Xian," it's "shee-an ". You can hear it spoken here and here. The following appeared on Matt's Tomb Raider Blog in August 2011. Matt's blog is no longer online but he's given me permission to share this here. There's a particular website that most Tomb Raider fans are familiar with. They seek it out when things seem impossible, they turn to it for a little hand holding if they're uncertain, and in some cases have even been known to head over there just to prove a point. Yes, I'm talking about Stella's Tomb Raider Site. It would have to be the most informative Tomb Raider fan site online, without a doubt. Where else can you find out how to get 4 out of a possible 3 secrets in Coastal Village? But you have to ask yourself, how long has it really been around? What started it all? 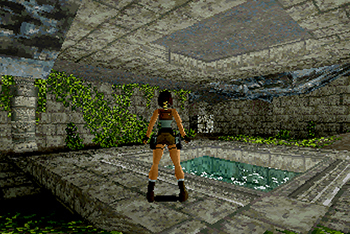 and what is the story with that UFO in Tomb Raider 3? I emailed Stella to find out more. Matt: What sparked the creation of "Stella's Tomb Raider Site" and when? The Way Back Machine tells us it's been there for at least 12 years now. Stella: It's a bit of a funny story really. 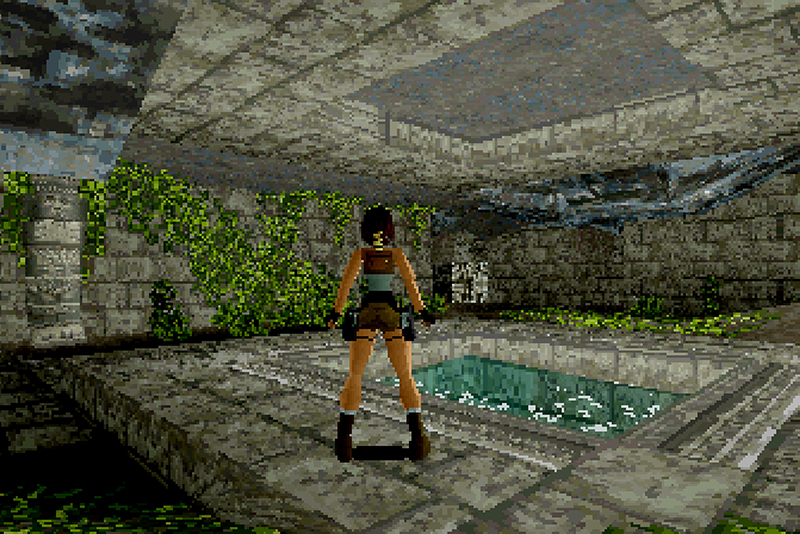 I first discovered the original Tomb Raider a few months after it came out. My husband got a copy from a friend who'd just finished playing it. He got stuck at the timed run across the fire pillars in the Palace Midas level. You should have heard him cursing and slamming on the keyboard. Eventually he got so frustrated he literally threw the game in the garbage. The next day I pulled it out and decided to give it a go. I had no clue what to do, so I went back to the beginning, played around in Croft Manor for a while, and then started the game from the beginning. The rest, as they say, is history. In November 2011, Kristopher S., a fellow gamer, asked me to share my opinions on Lara and the Tomb Raider series for a class project. Unfortunately I don't have a copy of the final paper, but I thought other fans might be interested in our conversation. Message: Hey there. I've been a huge fan of the series for years and you've helped me through numerous (okay countless) challenges. I'm writing a paper on the sexual exploitation of female characters in video games. 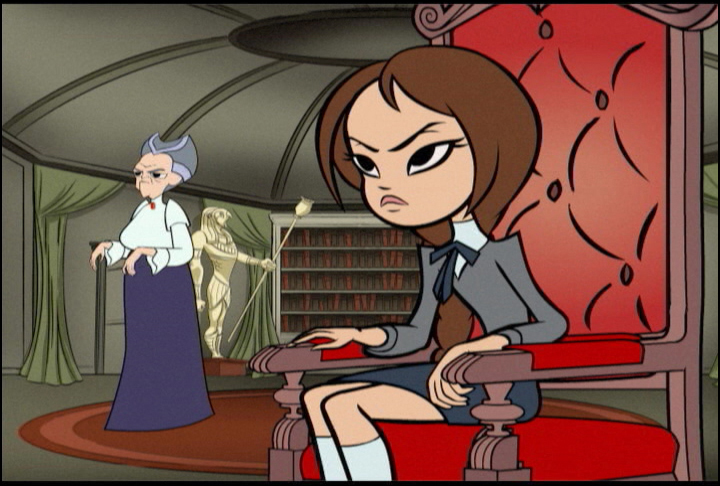 And I figured it would be good to reference Lara based off of some of the early depictions. I wanted to use you as a source since you are a prominent figure in the Tomb Raider community as well as a female gamer. I have a lot of respect for you and your opinions are of great value. Thank you! Reply: Hi, Kris. That's a great topic for a paper and one that's near and dear to my heart. I'd be happy to answer your questions to the best of my ability. If you need clarification or questions breed questions, feel free to follow up. I'll just copy your questions here and answer below. I hope that's OK. Were you ever bothered by Lara's image? Particularly the early years with her over the top dimensions. Lara's character in the game is depicted as strong, resourceful and witty, even sarcastic, but rarely uses her sexuality to gain an advantage. There are a few exceptions—like the portrayal of the simpering young Lara in TR: The Last Revelation—but for the most part Lara lives for adventure and does her job without using her looks or her sexuality to manipulate others. Unfortunately the same can't be said for the games' marketing departments. Back in the fall of 2011, I did the following Q&A with John from JBTRFreak's Tomb Raider Site. Sadly, his site is no longer online. What is it about Tomb Raider that first appealed to you? And how long have you been playing Tomb Raider? I've been playing since early 1997, shortly after the first Tomb Raider came out. My first impression, which I formed while watching over my husband's shoulder, was that the environments seemed very realistic and cool—at least compared to other 3D games of the day like Quake, Duke Nukem, etc.—and, hey, that's a GIRL!!! Do you remember your initial thoughts when you were playing the game for the first time? 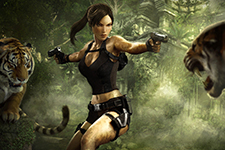 In June 2012, I talked Tomb Raider with CJ Marion from the Globetrotter fan site. How and when did you get into Tomb Raider? It's kind of silly actually, but I rescued my first Tomb Raider game from a wastepaper bin, if you can believe it! My husband got a copy from a friend who'd just finished playing it. That was around January or February of 1997. He got stuck at the timed run across the fire pillars in the Palace Midas level and got so frustrated that he literally threw the game in the garbage. The next day I pulled it out and decided to give it a try. I wasn't about to start from that part, though. So I went back to the beginning. Midway through the first level I was hooked, and I've played every Tomb Raider game I could get my hands on since. If you invented Tomb Raider, how would you feel? I'm the matriarch in a family of gamers, social media thrall, caffeine junkie, optimist, otaku, and webmaster at tombraiders.net, brickraiders.net and spacecolonyfans.net. Read more about me in the interviews section and feel free to contact me with any questions or feedback.